When it comes to calming your nerves, your sense of smell plays a more important part that you can imagine. Aromatherapy or the use of essential oils is known to benefit physically and mentally. While there are various ways to use essential oil, coming back to a home filled with the natural scent of flowers is highly soothing. One of the popular types of essential oil is the extract from lavender. The best lavender essential oils have a rejuvenating scent that relaxes you from stress and anxiety. With hundreds of brands each proclaiming a superior product, choosing the right lavender oil requires careful considerations. Is your essential oil extracted from the right lavender species? What benefits can you expect from using lavender oil? What do you need to consider when shopping for lavender essential oils? My personal review of trusted lavender essential oils. There are about 39 species of lavender but you don’t have to crack your head trying to remember all of their scientific names. The most commonly used species for essential oil is Lavandula angustifolia, which also goes by the name English Lavender, Himalayan Lavender, high altitude lavender, or Europe lavender, as it is mainly grown in the region. The Lavandula angustifolia is known for its soothing properties because of the high content of esters, that was produced in lavenders grown at high altitude. While there are other species of lavender such as Lavandula latifolia and Lavandula x intermedia, the English Lavender is the best for soothing your mind. The practice of using lavender essential oil to improve human’s well-being has been around since centuries ago. With its amazing calming, antioxidant and antimicrobial properties, you’ll find it helpful in these aspects of your life. Lavender has been used for centuries in regulating moods for centuries. It’s healing properties for mental health has been proven in modern studies. Not only the use of lavender oil is effective, it is also safe without any side effects. A study conducted on the usage of lavender oil through aromatherapy shows that subjects show a decline in the Hamilton anxiety score after undergoing the therapy. It’s pure suffering when you’re tired out but sleep does not come by as you’re overwhelmed by worries. If there’s a scent that helps you forget your worries and doze off to dreamland, it is lavender. Diffusing your room with the scent of lavender could be what you need to get a better sleep. Not only that, studies have shown that sleeping in a lavender scented room makes you more refreshed in the morning. Besides calming your mind, lavender essential oil has a surprising ability to decrease heart rate and blood pressure, which is helpful in treating symptoms of type 2 diabetes. While there are yet to be conclusive results, early studies on the ability of lavender to balance blood sugar showed great promises for it to be a natural remedy for diabetes. If the pain is a constant nuisance of your life, lavender may be the better alternatives from painkiller prescriptions. Numerous studies have indicated that lavender is effective in reducing inflammation and pain naturally. A study on the usage of lavender oil aromatherapy shows a reduction in various types of pain experienced by patients when used with conventional treatment. Unless you are prescribed by a trained herbalist, you should stick to lavender oil extracted from Lavandula angustifolia or English lavender. They are the best in mind soothing qualities. The method of extraction matter when it comes to preserving the healing quality of the lavender oil. In this case, you’ll want to look for “steam distilled” on the label. If you’re all for a greener planet, buy lavender oil sourced from sustainable and organic farms. Ensure you’re getting 100% pure lavender essential oil and not a fragrance or perfume oil. They are not the same. If it sounds too cheap to be true, you’ll want to avoid it. Chances are they are lavender oils of lower quality. Only buy your lavender oils from brands trusted by consumers. It’s going to be tedious browsing over the hundreds of lavender essential oils online. 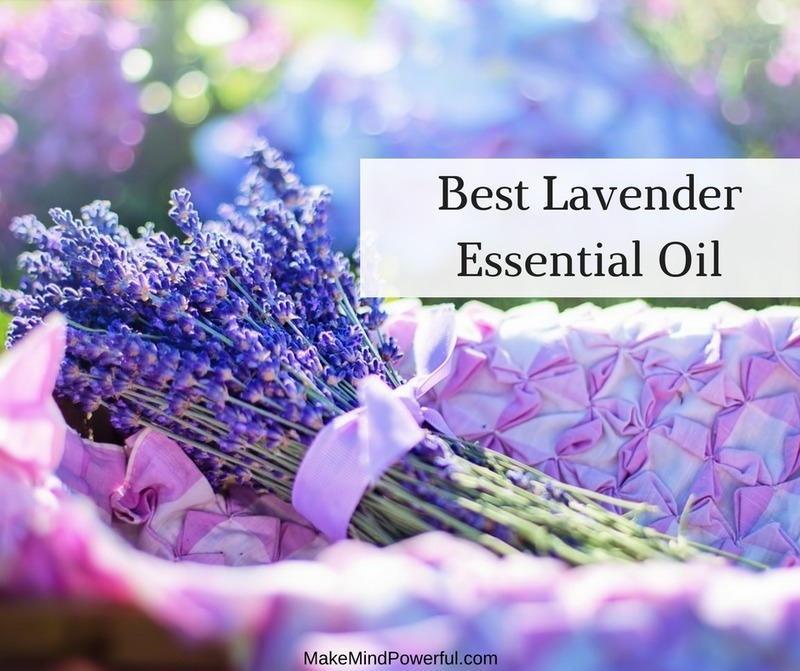 I’ve narrowed down the list the best lavender essential oils brand to 10. Inspired by the pure and freshness of nature, Edens Garden was founded in a tiny garage in 2009. Since then, Edens Garden has become one of the most trusted brands providing high quality natural essential oils. It is also committed to charitable causes by donating 10% of the company proceeds to a number of organizations. 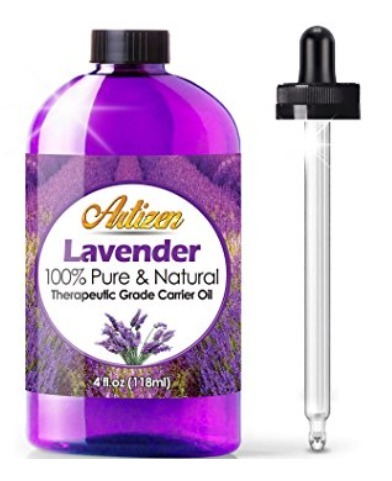 This 30ml bottle of lavender essential oil from Edens Garden is made from the finest lavender without any chemicals or pesticides. Packed in a glass amber bottle, it is GC/MS certified, which means the ingredients are nothing but the purest you can get. A strict quality control ensures every single batch of essential oil is made from the freshest lavender. Perfect for aromatherapy, you’ll find your mind calming down in a relaxing manner as you breathe in the sweet-herbaceous aroma of the lavender. The therapeutic quality is evident as the essential oils are stored in temperature-sensitive rooms before being shipped out. With Edens Garden, you know you’re getting lavender essential oil that is of the finest quality. Available in smaller bottle packs, the oils have made thousands of customers more than satisfied in various usages. You’ll find it a perfect addition to your own relaxation remedies. Founded by Sara-Jade, Sky Organics believes in delivering non-diluted, organic and unprocessed essential oils right from the source. The essential oils are sourced from organic farms that practice sustainable agriculture. The company strictly believes in ethics and contributing to a greener earth. Sky Organics lavender essential oils are sourced from the lavenders grown by farmers in South of France. They are steam distilled to ensure the healing properties are preserved. They are also grown organically and USDA certified. You can be assured that they are completely natural and pesticide free. 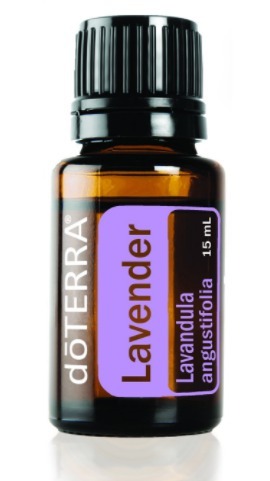 The lavender essential oils are packaged in a small bottle of 1 oz. It has a fresh floral scent that works beautifully for aromatherapy. You’ll find that the therapeutic quality of this product great for overcoming any sleeping disorder. Or it could lift your mood up on a bad day. 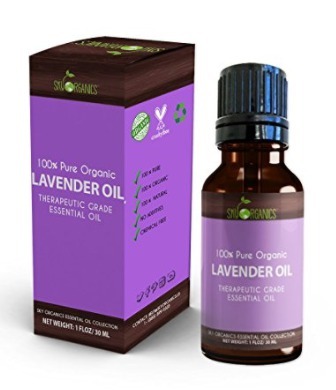 Expect a little surprise from Sky Organics when you purchase this lavender essential oil. Not only is their product superior in quality, the company also goes to the extent of educating their customers on the usage of the essential oil. You’ll receive an e-book with suggestions of the multiple usages of organic essential oils. What started as a quest for a healthy lifestyle ended in the founding of Essential Oil Labs. After testing hundreds of essential oils from the market, the founders realized that getting high-quality essential oils at affordable prices is a common frustration. With an iron-willed, Essential Oil Labs is determined to change the status quo. This lavender essential oil is 100% undiluted and gives off a strong fragrance. A few drops are often enough for soaking in your bathtub, as you slowly unwind from a stressful day. The lavenders are grown through sustainable agriculture practice. You do not have to worry about any chemicals or pesticides used to grow the lavenders. 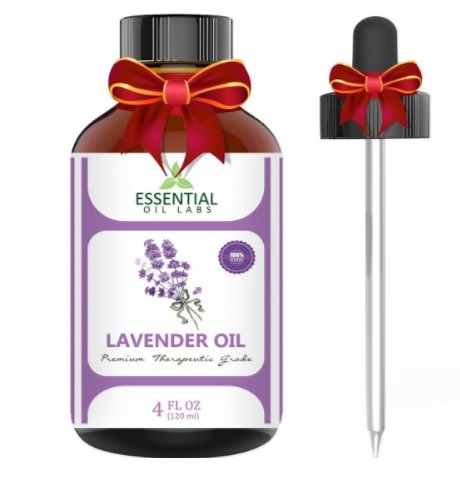 Available in 4 oz bottles, this lavender oil from Essential Oil Labs is bundled with a separate dropper lid. You’ll find adding a few drops of the essential oil onto your pillow make sleep less of a struggle. The superior mind-calming properties can be traced to the Bulgarian lavender, another name for Lavandula angustifolia, used in the essential oil. Expect nothing but top quality products and service from Essential Oil Labs. You’ll find a guide with numerous ways of using lavender oil shipped with your bottle. Essential Oil Labs is determined to fulfill their promise and it’s likely that you’ll love the value of such high-quality oil at such reasonable cost. At Majestic Pure, there’s nothing more important than getting the best quality product from simple botanical plants for their customers. A strict quality control procedure ensures that not only the essential oils are sourced from sustainable farms, but are carefully inspected before they are shipped. This Majestic Pure lavender essential oil is made from a harmonizing blend of Lavandula angustifolia and Lavandula hybrida from Bulgaria and France respectively. It carries an evolving fresh flowery scent is both pleasant and soothing for aromatherapy uses. Also known for its anti-microbial and anti-inflammation properties, the lavender essential oil can also be used for a therapeutic massage to ease pains and muscle tensions. Be sure to dilute it in a carrier oil before they are applied topically to the skin. Packed with a high-quality glass dropper, you can also add a few drops of the oil into a diffuser to calm your overly-energetic kids. This 4 Oz of lavender essential oil is probably one of the best in terms of quality and cost in the market. No animals are being harmed when any of Pure Body Naturals essential oils are produced. A strict believer in cruelty-free practice, the company commits to producing wellness products that work beautifully for your health. Not only the products are not tested on animals, the essential oil is free from pesticides or any other chemicals. 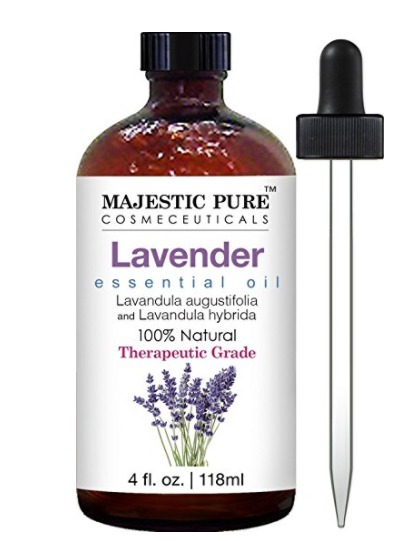 This 4 oz of lavender essential oil from Pure Body Naturals are harvested from lavenders grown in Bulgaria. The oil gave off a sweet woody scent that is both rich and complex due to the farming climate in Bulgaria. It was steam distilled to preserve the therapeutic quality of the oil. This is a bottle of lavender oil made with simplicity in mind and it’s perfect for aromatherapy. You can use the dropper to add a few drops on the diffuser and you’ll find the scent soothe any migraines that you have. It’s also perfect for your car diffusers if you’re having a stressful meeting ahead. It’s antiseptic quality also means you can use it on rashes or itches, especially if they have been plaguing you for quite some time. The lavender essential oil will provide you the much sought after relief. Just remember that it’s best to dilute the essential oil in other carrier oil before applying if you have sensitive skin. Plant Therapy is more than producing the best essential oil for your well-being. With their team of aromatherapists, they produce the KidSafe synergy that makes essential oil safe for children when diluted. The company is committed to placing their customers at the top when it comes to essential oil. Extracted from Lavandula angustifolia that grew at high altitude, the lavender essential oil produces an exotic and strong scent. A couple of drops from the 1 oz bottle on your diffuser is enough to calm your nerves. Start diffusing your room 30 minutes before bedtime and you’ll have a blissful sleep. 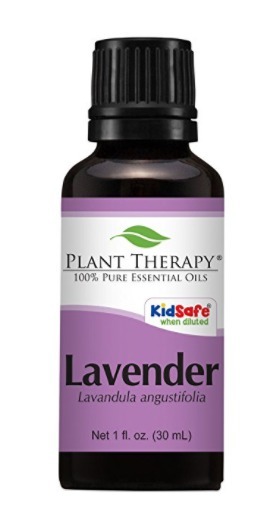 The children friendly lavender essential oil can be used to calm anxious kids, especially before their bedtime. You can also use it for insect bits or minor bruises on kids, provided that the essential oil is diluted in a carrier oil before being applied. Its natural anti-inflammation property will ease the pain quickly. You’ll also find this essential oil from Plant Therapy great for your skin when you add it to unscented lotion. This is a highly recommended lavender essential oil that is both top quality and family friendly. They are also available in a smaller bottle that makes it easier to carry during travels. When you shop for Artizen’s essential oil, you’re getting the finest hand-bottled natural oil right in the mountains of Western North California. To keep the essential oils at the freshest, they are only bottled when orders are received. A team of aromatherapists ensures that the products meet the required safety standards. Artizen lavender essential oil came in a UV-coated bottle to ensure the oil is protected against sunlight. This is to ensure that you receive the lavender oil in the purest state. With no chemicals used in the process, you can use this lavender oil without worries. When diluted in a carrier oil, you can use it for a therapeutic massage to ease your tense muscle. The strong scent of lavender is perfect if you intend to use it for soothing your mind. The dropper that accompanies the bottle makes it easy to add a couple of drops into your diffuser. As an official essential oil provider for more than 50 hospitals, Artizen maintain the strictest quality control of their products. This is a great testament to their essential oil. 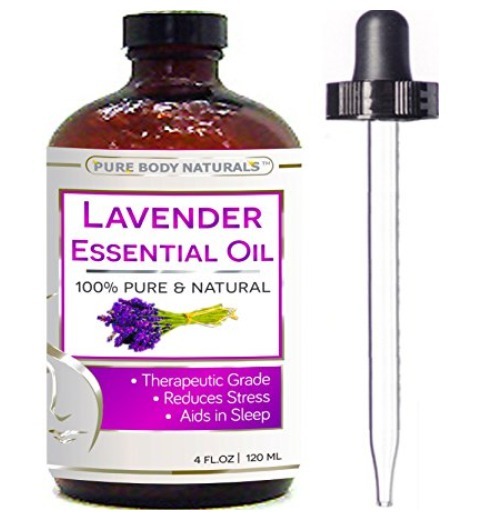 You have the option of the smaller bottle of 1 oz if you decide to purchase your lavender essential oil from Artizen. Coined from the Latin words “Gift from the Earth”, doTERRA was founded in 2008 by a group of health professionals and entrepreneurs. One of the pioneers in the industry to establish a standard in essential oils, doTERRA established the Certified Pure Therapeutic Grade® to ensure the essential oils are superior in quality. This 15ml bottle of doTERRA lavender oil is extracted from the steam distillation process in a properly monitored temperature and pressure. This ensures the effectiveness of the therapeutic quality of the essential oil. Experienced distillers and modern technologies ensure the right balance of heat and pressure. doTERRA’s lavender essential oil is one of the few that allows internal use by diluting one drop of the oil in 4 oz of liquid. It is effective when you’re overwhelmed by anxiety. Besides that, you could also diffuse it or apply it topically on minor wounds and bruises to aid healing. You’ll also find the pleasant scent of lavender relaxing when you choose doTERRA’s lavender oil. A few drop on your child’s pillow will help him to fall asleep gently. This is only possible when the lavender is harvested from high altitude and the soothing properties are preserved perfectly. While most brands are founded to provide top quality essential oil at an affordable price, Woolzies has a twist in its origin. It all began with the founder’s frustration with chemicals in regular household products and attempted to do something about it. Woolzies lavender essential oil is part of the founder’s quest to introduce natural products into your household. This essential oil has a powerful flowery scent that helps you relax from a stressful day. By using steam distillation, the oil is extracted without damaging its healing properties. Besides aromatherapy, you’ll find the essential oil effective as a fabric freshener. You’ll find your laundry smells refreshing after adding a couple of drops into your dryer balls. It’s a great way for calming your nerves by wearing lavender scented clothes to your sales meeting. As Woolzies started off by selling natural dryer balls, this lavender oil is heavily marketed to be used for laundry. But happy customers have also found it equally effective for sleep when sprinkled in the bedroom. 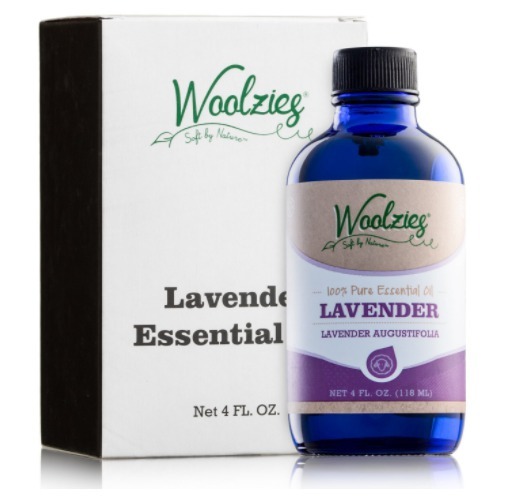 If you’re suffering from insomnia, you may want to consider this lavender essential oil from Woolzies. ArtNaturals is all about bringing the beauty of nature in the form of essential oils to their customers. All their products are harvested in a cruelty-free and BPA-free environment. If you’re a nature lover, then the essential oils from ArtNaturals are meant for you. 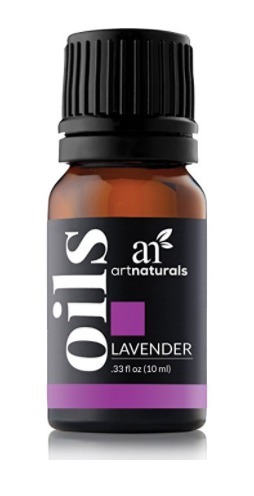 Steam distilled from natural Bulgaria lavender, this 10 ml of lavender essential oil from ArtNaturals carry a sweet and rich aroma that calm your nerves. You’ll also find great comfort when you apply the oil on aching joints and muscle. You’re guaranteed that the essential oil that you receive is undiluted and in its purest state. ArtNaturals independently test the quality of the lavender oil and any minor non-compliant in the GC report will result in the batch of oil being rejected. Stored in cool and dark places, you can keep your lavender essential oil for up to 2 years. Depending on your usage, ArtNaturals provide a few sizes of bottles that you can choose from. Regardless of your choice, you’re definitely getting the best quality of pure lavender essential oil from one of the highest rated brand. Before you get yourself some of the best lavender essential oils, here are some precautions that you may want take note. To not take lavender essential oil orally, unless it is prescribed by a certified herbalist or professional. Most of the oil is for aromatherapy and topical usage only. 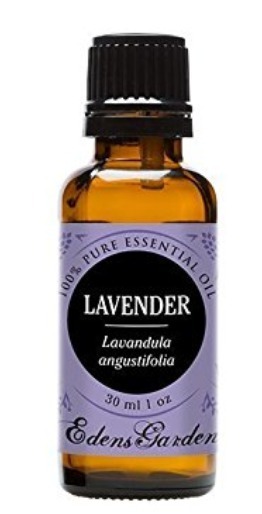 Always dilute the lavender essential oil with a carrier oil before applying on your skin. Test the lavender essential oil at a small part of your skin, just in case if you are allergic. If you’re pregnant or nursing, make sure you consult your physician before using lavender essential oil. Store your essential oil in cool and dark places after opening to prolong its lifespan. I hope you’re able to soothe your worries from one of the pure lavender essential oils above.